SevenM Technologies Private Limited, or SevenM, as it is fondly called, is one of the fast-growing technology companies in eastern India. With our base at Kolkata, we are an ISO 9001 : 2008 Certified organization. The company operates majorly in the domestic market along with customers from abroad, including Africa, Singapore and UAE. We are a young team of 8 people and are committed to building customer-centric and affordable products. Our offerings include solutions for sectors like Education, Hospitality, Food & Beverages, Finance (Stock Markets) respectively. The company also provides solutions for other verticals such as Manufacturing, Retail, Distribution, and Healthcare. With over 10 years of experience in making useful applications, we have a customer base of various team sizes, locations and needs. We cater to a varied range to requirements, ranging from Software Applications to Graphics, Email to eCommerce, Websites, Payment Gateways, Search Engine Optimization, Social Media & Bulk Marketing. Our goal is simple; to create excellent products that make your business shine and our egos soar. We’re small enough to take real pride in each and every job we do, yet agile enough to take on projects of all sizes. ‘Bring it’, as they say in those terrible films. Raj Kumar, the senior Modi, possesses a better understanding of the operations of a company, thanks to his vast experience of 35+ years. He has worked with a diverse group of clients including Government & Private organizations, on various projects. Mr. Modi looks after the statutory & the financial operations of the Company. 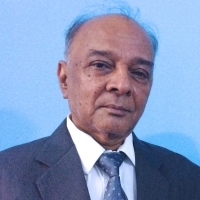 He has been closely associated with, focused and dedicated towards SevenM’s development. Vinay is a dynamic, result-producing individual with a proven record of accomplishment in planning and leading business strategies. He contributes to the company – his 10+ years of experience in IT Industry and looks after the overall management, here at SevenM. 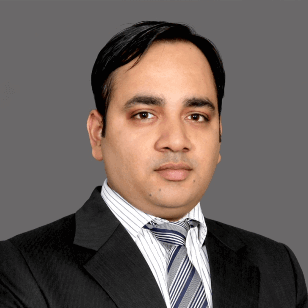 Vinay holds an MBA (IT) degree, and is an Oracle Certified DBA & Google Adwords Specialist. He brings a practical and straight-forward approach to the work.